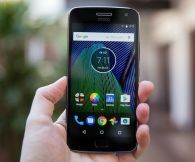 Motorola is a company, not known for their superb specs, but rather a steady and trustworthy lineup, accompanied by devices that spell top class build quality. It has been almost 3 years since Motorola made its debut with the much-rumored Moto E that started off the entry level smartphone war all those years ago. Since then the company has come a long way. Following in the footsteps of Moto E the Moto G was released and in the year 2017, the G5 plus finally made its debut. But alas, the device had a lot of shortcomings such as heating issues, no LED indicators, poor loudspeaker and below average camera performance in low light conditions. 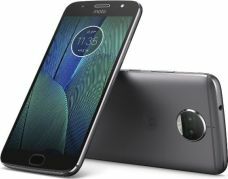 So Motorola decided to come up with another follow-up device that aims to bring back the lineup once again, the Moto G5S Plus. The phone is available for purchase in the UAE now. The Moto G5S Plus has been designed to be a rather large phone for the standard 5 inch. The phone measures 153.5 x 76.2 x 8 mm and weighs 168grams. This is expected given that the phone is approx. 6 inch across. The phone is splash resistant, i.e. can handle minor splashes of water and/or getting wet in rain. However, the phone is not meant for submerging in water. The back panel has a dual-lens camera fitted in the Moto typical circular module. The charging port resides on the bottom beside the loudspeaker grill, similar to the Moto G5S. The top has the 3.5mm headphone jack. The display of the Moto G5S Plus measures 5.5inch accross, justifying the large size of the phone. Although 5.5-inch has pretty much become mainstream, it is still a rather large size for a phone's screen. The display is an IPS LCD capacitive touchscreen display with a colour gamut of 16M colours. The dipslay has a resolution of 1920 x 1080 and has a 178° viewing angle. The diplay is protected by Corning Gorilla Glass 3 and supports 10-point multitouch. The display has an aspect ratio of 16:9 and has a pixel density of 441 ppi. This is a very good display given the class the phone is launched into. The sunlight legibility will be decent if not excellent and will produce excellent, eye-pleasing pictures. When it came to performance the G5 fell short of expectation because of its overheating issues. The processor gave an AnTuTu benchmark somewhere between 40,000 to 60,000 and the constant heating kept the device from tapping into its full potential. The issue has been resolved in the G5S Plus and the Qualcomm MSM8953 Snapdragon 625 Octa-core chipset has been fairly optimmised for great performance and battery consumption balance. Graphics are handled by the Adreno 506 GPU chip. So far, there have been no incidents across the world where users have complained about the heating isseues with the Moto G5S Plus. We can assume that the phone is a great performance and power manager. The phone runs on Android v7.1 Nougat stock. The stock Android is packed with all the native features of the OS and comes with minimal additional applications pre-installed. The phone has two memory variants. One comes with 3GB RAM and 32GB internal memory and other comes with 4GB RAM and 64GB internal memory. Both the variants support expansion and can support an additional microSD card of upto 256GB capacity. Keeping up with the trend the smartphone has been launched with dual-lens (13MP + 13MP, f/2.0) cmaera with dual-LED flash to light those extra dark corners. A dual-camera allows for better depth perception and for improved image clarity. The front camera of the phone will have an 8MP sensor with an f/2.0 lens. The front camera too is equipped with an LED flash. The cameras are equipped with all the features such as geotagging, HDR, panorama, time-lapse etc. The cameras arae capable of high definition video recording. They can shoot 2160p videos at 30fps, 1080p @30,60 fps and 720p videos @ 30,60 fps. Video clarity is also bound to be good, thanks to the dual cameras. The phone has a 3.5 mm jack for wired headphones connectivity. The phone is also capable of playing all the popular formats such as MP3, MP4, WMV, WAV, FLV, AAC etc. for auid as well as video playback. The phone's capabilities for camera and multimedia are mainstream and there should be absolutely no problem playing them. The battery of the G5S Plus can be a little downside with a 3000 mAh capacity. In an era where people are demanding larger batteries, 3000mAh is rather too mainstream. Moto should've installed a bigger battery in their device. Although with the latest improvements and support for turbocharging, there are doubts over the phone lasting throught the day with moderate to heavy usage. In matters of connectivity, the smartphone will have dual-sim support and 4G LT/ VoLTE, 3G HSPA+/UMTS & 2G EDGE/GPRS (GSM networks) support. For miscellaneous wireless connectivity, the phone has wifi 802.11 a/b/g/n, Bluetooth v4.2 w/ A2DP support, GPS w/ A-GPS, GLONASS and NFC(market dependent). For wired connectivity, the Moto G5S Plus will have a microUSB 2.0 port for OTG, charging and PC connect. It will not support Java. The array of sensors has only four sensors - Fingerprint (front-mounted), accelerometer, gyro, proximity. Moto should've added more sensors such as a digital compass or a hall sensor etc. That would be justified for the prce segment the phone has been launched into. What​ ​networks​ ​is​ ​the​ ​phone​ ​capable​ ​of​ ​connecting​ ​to? It can connect to 4G LTE conforming to VoLTE networks. it supports support of 3G HSPA+/UMTS and 2G EDGE/GSM cellular networks. ​Is​ ​the​ ​phone​ ​Dual-SIM​ ​supportive? The device comes in 2 SIM versions i.e Single and Dual SIM with nano-SIM technology. There is a dedicated microSD card slot to expand storage for up to 256 GB additionally. What​ ​are​ ​the​ ​miscellaneous​ ​connectivity​ ​options? The connectivity options present in the device are 802.11 a/b/g/n (2.4 GHz + 5 GHz), GPS, A-GPS, GLONASS, Wi-Fi hotspot, and Bluetooth v4.2. Does it have a 4K camera recording ? Yes. It does support 4K camera recording. What​ ​OS​ ​is​ ​present​ ​in​ ​the​ ​phone?​ ​Will​ ​it​ ​receive​ ​OTA​ ​updates? The device runs on Android v7.1 Nougat pre-installed. Yes, it will receive Android v8.0 Oreo in coming months. How many camera pixels and what aperture does the primary camera have? Does it have dual-rear cameras? Yes. Moto G5s Plus has dual-rear lens camera with 13MP+13MP resolution with an f/2.0 aperture. It also features 8x digital zoom for images, and 4x zoom for videos. Other features include Drag to focus & exposure, Quick Capture, Tap (anywhere) to capture, Best Shot, Professional Mode, Burst mode, Panorama Mode, Auto HDR, Video stabilization, 4K Ultra HD video capture (30 fps), and Slow Motion video. Does it have a FM radio? Yes. It features FM radio. Which chip and processor does the device runs on? The SoC(chip) is powered by Qualcomm Snapdragon 625 SoC equipped with octa-core processor clocked at 2.0 GHz CPU. What​ ​is​ ​the​ ​device’s​ ​battery​ ​capacity? The device is backed up with 3000mAh battery capacity with TurboPower feature. As per the company’s claims, 15 minutes of charging, can provide up to 6 hours of usage. The dimensions of the device are: 153 x 76 x 8 mm. How​ ​much​ ​the​ ​device​ ​weigh? The device weighs about 168 g.
How​ ​much​ ​memory​ ​does​ ​the​ ​device​ ​have? Moto G5s Plus comes with a base variant of 32GB internal storage with 3GB RAM. Also, there is a dedicated microSD card slot to expand storage additionally for up to 128GB. What​ ​is​ ​the​ ​type​ ​and​ ​size​ ​of​ ​the​ ​display? The device screen size is 5.5-inches with Full HD resolution. With bigger display size, the device gives you better user-experience. Is it Gorilla Glass protected? The device is protected with Corning Gorilla Glass 3. Are​ ​there​ ​any​ ​other​ ​variants​ ​of​ ​this​ ​device? The device comes with 2 memory configurations i.e 32GB internal storage with 3GB RAM, and 64GB internal storage with 4GB RAM. What​ ​are​ ​the​ ​colour​ ​options​ ​for​ ​the​ ​device? The phone has been launched in 2 colour options i.e Lunar Gray and Blush Gold. What sensors are present in the device? The sensors of Moto G5s Plus are Fingerprint scanner, Accelerometer, Gyroscope, Ambient Light, and Proximity.